Struggling to think of ideas for marketing your newest pride and joy? Take a look at Norm Schriever’s The Book Marketing Bible. As I’m learning through my journey into self-publishing, writing a book and marketing that book are two very different arenas. After having put so much effort into producing that piece of writing, you can’t help but care about it like it’s your own offspring. But if you want to sell copies of your book, you’ve got to share that enthusiasm with an audience. That’s where this guide comes in handy. 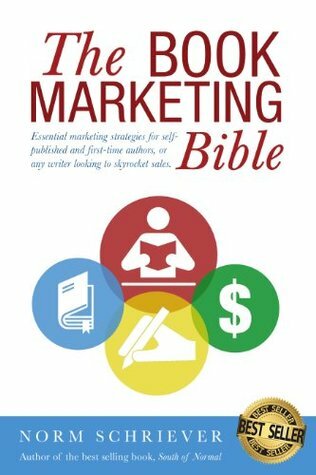 The Book Marketing Bible, as predicted by its subtitle, has a list of 99 tips you can use to help market your writing. Tips are often accompanied with potential tools and resources for launching them into action. For example, if you want to create a book trailer, Shriever provides suggestions on music and pacing to create an impactful video that could help increase interest in your book. Some of these suggestions were options that I had not previously considered, such as releasing bonus material as a fan guide or registering a hashtag for my book. Before delving into these practical tips, the first half of the guide contains advice for getting yourself into the proper book marketing mindset. This part is useful for creating a solid author platform, encouraging you to think about why you write and what you want to provide to your audience, helping you ground your future book marketing efforts. I finished this book feeling even more pumped and excited about my soon-to-be published novellas and ready to strategize my marketing efforts. Overall, The Book Marketing Bible is a wonderful guide for not only selling your book, but changing the way you think about marketing your writing. Schriever’s guide is available on Amazon for $2.99 or for rental with a Kindle Unlimited subscription. Some external links on this website are affiliate links, which means that at no extra cost to you, I earn commission when you make a purchase on the vendor's website. I only recommend products and books that I have personally enjoyed or found useful in the hopes that you will as well! Visit The Trove, a curated collection of resources for Fantasy, Science-Fiction and Horror creators. Copyright © 2019 Spectacular Fiction! – Powered by Customify.